1. On the one hand, the cooperative SINPLASTICO, SOCIEDAD COOPERATIVA PEQUEÑA, Barrio de la Cruz, number 9, 1st floor on the left, 48006 Bilbao (Biscay) with the company ID number F-95764601 (from here on, SINPLASTICO). 2. On the other hand, any physical or legal entity who places an order (from here on, the CUSTOMER). Orders will be shipped to any country in the world (provided there is a courier service available). When placing an order the CUSTOMER accepts these General Sales Conditions, as well as any other conditions specified with the order itself. The purpose of these General Sales Conditions is to define the sales process between the CUSTOMER and SINPLASTICO, from the placing of the order, to the delivery and payment, as well as the post-sales customer service. 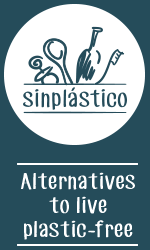 The CUSTOMER can place their order via the internet on the website www.sinplastico.com or via telephone by calling 944 07 63 88 and following the recorded instructions. In order to receive their purchase the CUSTOMER must provide the personal information requested via one of the methods indicated above. When placing an order the CUSTOMER fully accepts the prices, the product descriptions of the items for sale and the General Sales Conditions, as well as any other conditions specified with the order itself. All product orders are subject to product availability. In the event of supply difficulties of a selected product, SINPLASTICO will inform the CUSTOMER within a time period not exceeding fifteen days. - Home delivery: the order is delivered to the postal address provided by the CUSTOMER in the “Shipping address” section. - Post Office Delivery (only available within Spain): the order is delivered to the Post Office selected by the CUSTOMER. -Collection from the SINPLASTICO warehouse: the CUSTOMER can pick up their order from the SINPLASTICO warehouse. This warehouse is located at Anselma de Salces Street 19, Ground Floor – left hand unit, 48007, Bilbao (See map here) and order collection hours are: Monday – Thursday from 10:00am until 6:00pm and Friday from 10:00am until 4:30pm. To track an order, the CUSTOMER will be provided with a tracking code and instructions to be able to follow their orders progress during delivery. SINPLASTICO delivers the ordered items in the time period specified by the section “Delivery charges and times”, unless specifically stated otherwise by SINPLASTICO. All delivery time are orientative and non-binding. If delivery of the order cannot be carried out successfully, due to “CUSTOMER negligence” (incorrect contact or delivery details, not present at the arranged time of delivery, not picked up at the place of collection, etc…), the order will be cancelled and a refund will be given only for the price of the products purchased, excluding the transport costs. - By cash on delivery (with a commission of €2.50). Only available within Spain. - By cash payment at the SINPLASTICO warehouse. All orders that have not been paid within 7 working days of placing the order will be cancelled. The prices of the items ordered include the corresponding tax at that point in time. For each order home delivered we add a fixed shipping charge that includes administration, packaging and delivery from our warehouse. The details of this charge are given when finalising the order. In the “Delivery charges and times” section the additional cost relating to this concept is explained. The prices for professional customers are shown tax-free. For orders sent within Spanish territory: The purchaser has 30 days from the day the order was placed to cancel it without being penalised and without giving a reason. SINPLASTICO will take responsibility for all expenses incurred as a result of the cancellation. Once it has been verified that the products have arrived back at the warehouse in the same condition in which they were sent, SINPLASTICO will credit the CUSTOMER with a refund for the cost of the returned products via the same payment method used by the CUSTOMER. Once it has been verified that the products have arrived back at the warehouse in the same condition in which they were sent, SINPLASTICO will credit the CUSTOMER with a refund for the cost of the returned products via the same payment method used by the CUSTOMER. In the event of a product fault, failure to deliver or the incorrect item being sent, the CUSTOMER can choose either an exchange or a refund of the purchase price of the item. The exchange would be free for the CUSTOMER and should happen within a time limit of 30 days from delivery of the product. In the event that exchange is not possible, due to lack of stock, SINPLASTICO will refund the corresponding amount. These Sales Conditions constitute the total agreement between the named parties. In the event that one of the clauses of these conditions is null and void, that would not affect the remaining conditions. These conditions comply with Spanish law. For the resolution of any doubt, discrepancy or divergence that could arise in the fulfilment and interpretation of this Agreement, the parties must present themselves to the Courts and Tribunals of the consumer’s place of residence.